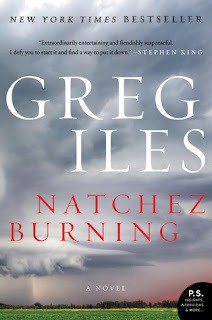 Natchez Burning by Greg Iles is a very highly recommended thriller that had me mesmerized and totally invested in finding out what was going to happen next for the whole 800 pages. I can hardly wait to start the next book in the trilogy, The Bone Tree, and am anxiously awaiting the third installment, Mississippi Blood, due to be released in March 2017. This is an excellent book on all points: great writing, check; intricate plot twists, check; complexity, check; well-developed characters, check; suspense, check, check, check. Forget my stuck-overnight-at-the-airport book rating. You'd miss them calling your next flight. In fact, just save yourself the trouble and postpone your trip to finish Natchez Burning and jump right into The Bone Tree. Greg Iles just made another fan. "If a man is forced to choose between the truth and his father, only a fool chooses the truth." Penn Cage agreed with this writer's sentiments for years, but now he realizes that, as his distant relative, Robert Penn Warren wrote: "There is always something." Penn's father, Dr. Tom Cage, is a beloved family doctor in Natchez so it is unthinkable that he could be accused of murdering Viola Turner, the African American nurse who worked for him in the 1960's, let alone arrested for this. Viola was dying and returned to Natchez to spend her last days there. Tom wants to prove his father is innocent, but Tom won't assist his son in this endeavor, invoking doctor-patient privilege. There is a whole lot more going on and hidden, including an off-shoot cell of the local KKK that call themselves The Double Eagles. These men have been terrorizing and killing people for years. Somehow Dr. Tom and Viola are connected to them and the death of several men in the 1960's. We know what happened from the opening chapters in part 1 of the story. Part 2 jumps ahead to 2005. More is explained as the book continues through several different characters, including Penn, Dr. Tom, Penn's fiancée Caitlin Masters, reporter Henry Sexton, and several of the bad guys. This is a tale of illegal activities, racism, greed, murder, corruption, and brutality, as well as the different legacies a family may be passing on to the next generation. Penn must decide if he will choose his father or truth. Penn is a crusader at heart, one who wants to right wrongs, but what if the wrongs involve his father, or result in his father's death? Incredible, rich, vivid, descriptive writing highlight this fast-paced, engrossing thriller. You need to realize that there are some very vivid descriptions of violent acts in Natchez Burning, but they are also crucial to the plot. Iles does an remarkable job allowing the facts and secrets to slowly emerge as characters uncover the monumental truth of the past and the present, piece by piece, and realize how far-reaching the gross injustices reach. The character development is phenomenal. 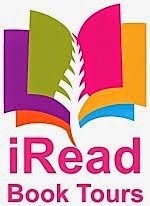 Iles has created characters that are memorable, complex, flawed, and totally believable. Natchez Burning is amazing. I am, quite simple, stunned at this incredible novel. This is surely in the running for my list of top ten novels of the year. Although this is the fourth novel featuring Penn, it is a stand-alone novel for the new series of three Penn Cage novels. While I need to get the previous three, you can start the series of three with Natchez Burning. 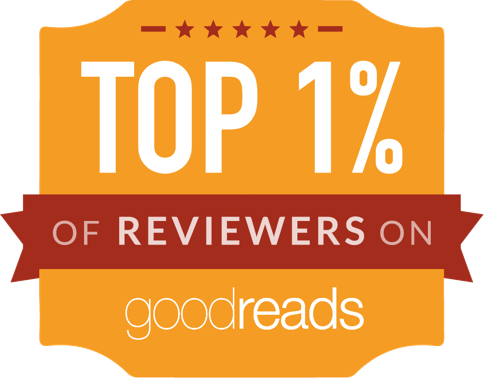 And, currently (during the writing of this review) the digital edition is 1.99!